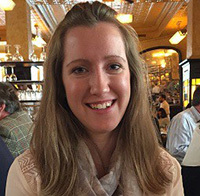 Emma Stewart is a Kent Business School student who has discovered a placement she loves. Having gone through several application processes for different placements, Emma secured the role of PULSE Administrator for global healthcare brand GlaxoSmithKline. In her student blog, Emma discusses how she secured her Year in Industry role, and how she’s enjoying being part of the change. I am currently on my Year in Industry at GlaxoSmithKline, in the head office in Brentford, West London. During my applications for industrial placement schemes, I was applying for roles in Human Resources, as this is where my greatest interest lies. In securing a role at GSK, I was offered the job of PULSE Administrator, which lies within HR. What, you ask, is PULSE? The PULSE Volunteer Partnership was set up in 2009 and is the GSK social responsibility programme, in which GSK is committed to changing the world by investing in healthcare and education. 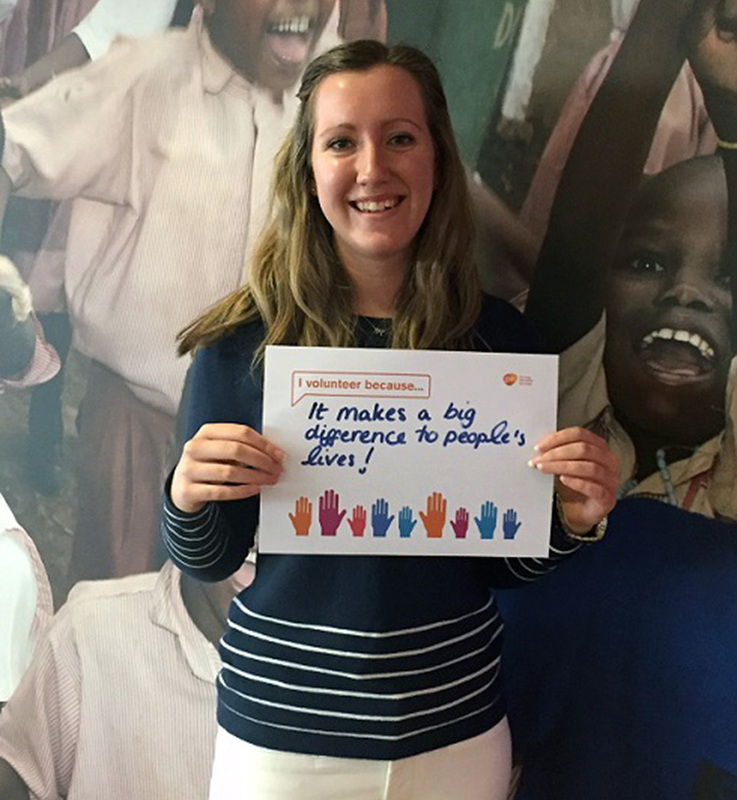 The PULSE team, consisting of 3 of us in the UK and 5 people in the US, send up to 100 GSK people each year on 3-6 month voluntary assignments with partnered charities and non-governmental organisations. They use their skills, knowledge and experience to make a sustainable difference to the organisation and their local communities. These assignments can be within an employee’s home country, but the majority of them are international. The PULSE slogan is Change Communities, Change Yourself, Change GSK. 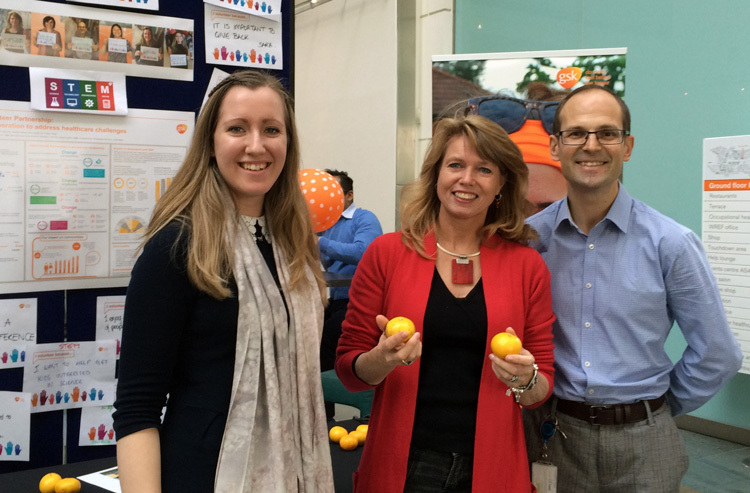 PULSE is a chance to create positive and sustainable change within local communities, but also an investment in the learning and development of GSK employees. They are encouraged to keep an open-mind, and in many cases, learn how to find solutions to problems that are encountered by their organisation with the minimal resources available. On entering GSK, I did not have a full understanding of the impact that its activities have on the lives of many around the world. I had a partial understanding of its health-related products, but I did not understand the other activities that the company involves itself in to create a better world and increase the access of healthcare goods and services globally. With the recent release of a Fortune article listing GSK as the #1 company Helping to Change the World, this got me thinking about how GSK approaches change and how jobs are affected by change. I am eager to learn more about what GSK does to encourage change and how this affects the lives of communities globally. For employees (myself included), an article like this helps to build a real sense of pride in working for a global company focused on bettering people’s lives. This article was shared between co-workers, on social media, and around the dinner table with friends and family, showing our pride in the company that we work for. I am very proud to be a part of this small and unique, but extremely driven team that enable employees to take a step away from their jobs at GSK and be closer to some of our end consumers. I believe that PULSE is an example of how GSK is committed to creating and encouraging change. Change for the better – in helping communities in need, changing employees views and experiences of the world, and in coming back to GSK, employees bring new ideas to implement or differ their approaches to situations (typically doing more with less). This article created a ‘buzz’ in my team with everyone being proud to have had a helping hand in bringing about change through one of GSK’s Corporate Social Responsibility initiatives, in which our key motivation is about implementing long-lasting and effective change. For me, I believe that I have found my way into a team that is encouraged and motivated by maximizing GSK’s impact on society for the better. When GSK considers profits, the desire to increase sales and drive growth needs to be balanced with acting in a socially responsible way; a balance which is difficult to strike. I think that GSK does this well, for example the approach to patents in lower-income countries, where they have decided not to protect their products in some developing countries in order for their products to be cheaper and more accessible. I personally see this as an example of being a good corporate citizen, again making me proud to be a part of a company that is not solely focused on profit, but bettering the access to healthcare worldwide. Finding an Year in Industry can be stressful for anyone, but perseverance is key. I applied to over 20 different organisations all around the UK and GSK was my third assessment centre. With each rejection I was disappointed, but I moved on. As a firm believer in the sentiment ‘everything happens for a reason’ I knew that the perfect placement was out there, I just hadn’t found it yet. Luckily, it found me. Even though I am not in a generalist HR role, I sit within the HR department and am fully exposed to other HR activities that are going on around me. I love my role and wouldn’t wish to be anywhere else for my Year in Industry. I have a small role in helping GSK create impactful change, but it feels good and I enjoy going to work every day. My advice to you when applying for placements is to keep an open mind, be willing to try something new, and enjoy where it takes you. To learn more about PULSE read the Annual Impact Report or visit the Blog to read about PULSE volunteer experiences and the non-governmental organisations that they are working for. Many thanks to Emma for sharing her experience. If you’re interested in learning more about the Kent Business School’s Year in Industry programme, employability support available to KBS students or any of our undergraduate study programmes, head to the Kent Business School website. My name is Emma Stewart, I am in my third year at Kent Business School studying International Business with a Year in Industry. I am currently working in the role of PULSE Administrator on my Year in Industry at GlaxoSmithKline. I am interested in pursuing a career in Human Resources. If you are a Kent student please contact the KBS Employability team or alternatively visit the KBS Employability blog for advice and guidance.